Each year the league kicks off to coincide with the release of a new Call of Duty game. With sponsors PlayStation footing the bill, there is around $4 million up for grabs as the elite FPS gamers from North America, Europe, New Zealand and Australia all shoot it out in a battle of reflexes and wits. 2017 sees the COD World League Championship head to Orlando, Florida for the first time. Top teams will do battle at the Amway Center on August 9-13. That an eSports event is going to sell out the arena that held the 2012 NBA All-Star Game is not news anymore, but this one is even more special. 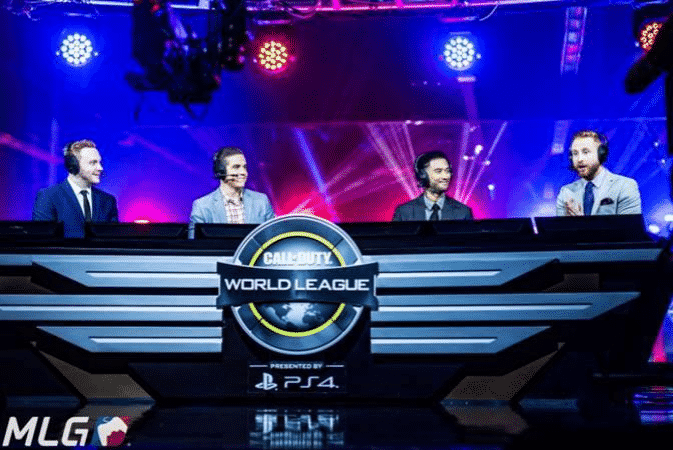 The COD World League Championship is fast becoming one of the most lucrative and high profile of events in the eSports calendar. It’s also expected to result in an increased interest in COD World League Betting and eSports betting in general. With pro gamers currently engaged in combat desperately trying to make the cut for the COD Championships, it’s a good time for Master Mazuma to guide you through the combat and COD World League Betting, whether you’re a seasoned Call of Duty veteran or a newcomer to the world of eSports. The COD World League and COD World League betting are, in fact, fairly new. The league only formed in January 2016, with PlayStation 4’s Call Of Duty: Black Ops III played as the tournament game. 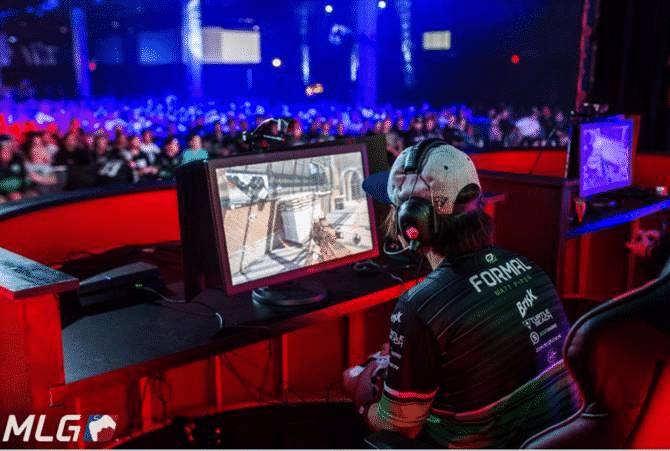 The COD World League acts as a qualifier for the more established COD Championship which has been going since 2012 and continues to grow in stature. The COD Championship is hugely competitive with a different team taking the title each year and current champions, Team EnVyUs, twice falling short in runner-up positions in 2013 and 2014 before taking the crown last year. The format seems to work, as the money earned for COD Championship success keeps going up and the games keep getting better with Call of Duty: Ghosts, Call of Duty: Advanced Warfare, Call of Duty: Black Ops 3, and Call of Duty: Infinite Warfare played so far. With the COD World League acting as a qualification event for the COD Championship, there are regional qualifiers and online qualifiers for the COD League held at the end of the prior year. Those skilled enough to make either the Pro Division or the Challenge Division of COD World League then compete for a place in the Championship, which takes place before the unveiling of the next COD game each November. The COD Pro Division attracts many COD league betting enthusiasts and is put on all over the globe with tournaments in Europe, North America, Australia and New Zealand. The arrangement of these tournaments can vary depending on the number of teams competing. Six teams from Europe, nine from North America and one from the Asia-Pacific region are positioned into four groups depending on the number of points won during their particular regional qualifiers. From those teams, the top eight will make it into the Stage 1 Playoffs while the bottom four teams will contend a relegation battle. The COD Challenge Division was formed as a qualifying platform for emerging talent, and just like in the Pro League, amateur gamers have a shot of competing for a place in the COD Championship. Those teams who emerge successful in the COD Challenge Division events held during February and March can take part the the ultra-competitive Stage 1 Relegation tournament. Here they, have the chance to take on Pro Division teams and could warrant their place in the Pro Division – and maybe their own guaranteed spot in the Call of Duty Championships. The COD Challenge Division and the COD Pro Division attract great interest on the COD World League betting platforms. With Master Mazuma as your guide for eSports and your preferred eSports sportsbook, right here is where you’ll find all the odds and information you need to be fully informed about all the action taking place before teams duel it out at the Amway Center on August 9-13. Six teams are now certain to take a place at the 2017 COD World League Champions with the current champions Team EnVyUs being joined by Splyce, Evil Geniuses, FaZe Clan, Rise Nation, and Mindfreak. Let’s take a look at the current four favorites in more detail. Team EnVyUs often catch the attention of those involved in COD World League betting. The North Carolina based team is currently active in League of Legends, Counter-Strike: Global Offensive, Gears of War, Halo, Overwatch, and StarCraft 2. Yet it’s their COD roster that has other teams in envy. Their Infinite Warfare season hasn’t looked good and it seemed as though the team would fail to mirror the glory of last season’s’ exploits. That was until they recaptured some form and managed to dig out a surprise 3-0 victory over Splyce which saw them clinch top place in the red group. After finishing second in 2016, Team Splyce has proved to be the top European team and looked good to go one better in 2017, until their slaughter at the hands of EnVyUs. That Splyce had beaten EnVyUs previously in the group must have made the defeat all the more bitter, but this now has the makings of a pulsating grudge match and you’d be hard-pressed to pick a winner. At Master Mazuma, we can’t wait to see the outcome of a battle between them and promise to bring you the best odds out there, whoever you choose to support. Evil Geniuses will be familiar to those who enjoy COD World League betting, as they are one of the oldest eSports teams active today. They compete in CS:GO, Dota 2, League of Legends, Quake Live, StarCraft II, Super Street Fighter IV, and World of Warcraft. After disbanding and not making the cut for three years, Evil Geniuses are back, but with moderate results. They have the ability to cause an upset or two, but we wouldn’t expect to see them in the latter stages of the COD Championship. With over 4 million subscribers on YouTube, there are plenty of gamers out there that enjoy watching FaZe in action in both COD and CS:GO. After coming third in the PlayStation Experience Invitational, the team has had some mixed results. They probably don’t have enough in their bag to challenge the top teams vying for the title, but they might just be the underdog to bet on, as they’ll offer much better odds than some of the favorites. It’s a great time for COD World League betting with 26 spots still up for grabs across Stage 1, the relegation tournament and the last chance qualifiers these still plenty to be decided before the big one in Orlando. Master Mazuma, your guide for eSports and your preferred eSports sportsbook will keep you up to date with all the odds and information you need to keep up with all the action taking place before teams duel it out at the Amway Center on August 9-13. With the action ongoing, it’s highly recommended for fans to pre-register with Master Mazuma as COD tournaments offer a variety of betting options and will let you take advantage of a number of benefits such as an exclusive welcome offer with free bets, automatic upgrade to VIP Level, custom Master Mazuma branded gear and enhanced offers on the biggest events.